Completely immersed in nature, an ecological paradise right on the beach of Praia da Barra in Brasil, a great place for kite surfers. Casa Suiça is an Eco Resort which located right in front of a unique kitespot, thanks to the immense lagoon that provides excellent water conditions, making it the perfect place for both beginners and more experienced kiters. A magic place, where you can spend a holiday full of adrenaline and fun, but also a place where you can relax in the sun or under the shadow of coconut palm trees, enjoying brasilian atmosphere and joy. Casa Suiça offers relax and excitement at the same time for a unique experience. 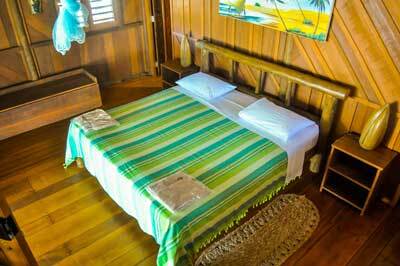 restaurant and five beautiful chalets in the shade of coconut palms. IKO - International Kiteboarding Association, and FIV - Italian Sailing Federation. Courses are suitable for kiters of all levels and you can rent the necessary equipment. A unique experience, an adventure trip in nature, through stunning landscapes and beautiful beaches. Entire days surfing the waves downwind, followed off-road by a jeep and experienced guides. Five amazing chalets, constructed entirely in wood and perfectly integrated in nature, are located right on the beach, one step away from the sea. 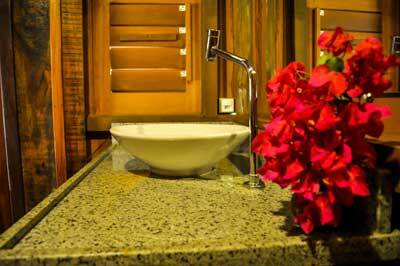 Tranquility and comfort in 35 square meters, well organized to accommodate up to four guests . 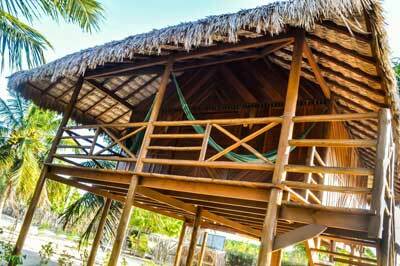 All chalets have a veranda with hammocks to relax and fully enjoy the breathtaking view. Kitesurf lovers will also find a private kite storage for their equipment.